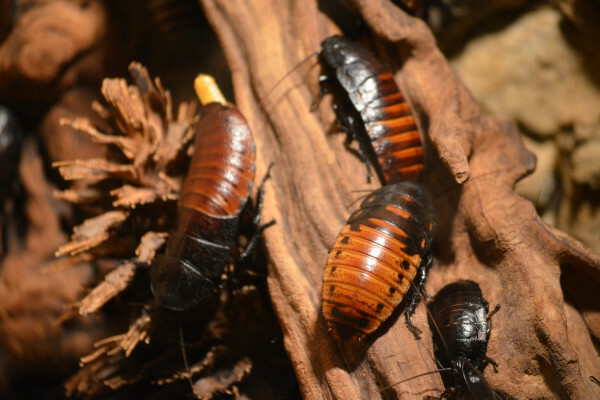 Is there an evolutionary reason for being repelled by cockroaches? I love the podcast. I have a random question: is there a evolutionary reason why humans seem to find cockroaches so repellant? I know some cultures eat them, but overall they seem to gross people out. Diana - This seems to be an almost entirely cultural thing. There was a study done last year by a group at the Karolinska Institute in Sweden, they looked at toddlers and small children, and introduced them to various creepy crawlies and snakes, or showed them images of them and found that actually, they weren't scared of them. There was no flinch effect and there was no expression of fear. But what they did find was that the children learned to fear things much faster than they learned to understand things that weren't things that they should be afraid of. So, when they showed an image of say, a snake or a cockroach and played someone's voice which had a warning tone in it, the children learn much faster that they should be afraid of this. And so, this is probably what's happening when people learn to be afraid of spiders - it's probably a parent around going, "Oh, there's a spider!" And that's how they pick it up. Chris - I remember watching a documentary on the television, featuring a psychologist in America. He was demonstrating what you've just discussed by giving children bed pans to drink out of. They were quite happy to pour apple juice, which obviously looks a bit like urine, into the bed pan and drink it, until they knew it was a bed pan! But the interesting thing was when he put a cockroach in the bed pan with the liquid, they then wouldn't drink it because they said it had a bug in it. Diana - That's interesting. How old were they? Chris - Well he said there was a threshold age and once they got to a certain age, they then started to recognise that this isn't quite as seemly as it should be. They say no they won't drink that because it's got wee in it and things like that. This aversion to bodily fluids kicks in from about age 4 or so. Whereas before that very young kids are happy to play in their own poo! Previous How efficient are rechargeable batteries? Next Why do bits of my kids grow at different rates?